February 2018 Edition of Power Politics is updated. 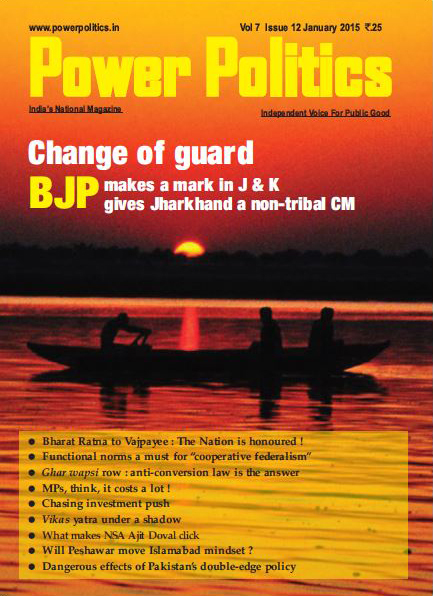 February 2018 Edition of Power Politics is updated. India is a large country with about 1200 islands, an EZZ of several million square kilometers and land and sea borders which span nearly 23,000 kms. Besides this daunting spatial factor we have a large and growing population of about 1.3 billion which comprises 4635 multi-religious communities who speak 179 languages and 550 dialects. The vastly varying socio-cultural and religious traditions of our communities are embedded in thousands of years of their past histories. Since Independence our country has achieved considerable progress on varied fronts but we still have significant illiteracy and unemployment and a near one fifth of our people subsist below the poverty line. Unless there is peace and normalcy in the land it would not be possible to achieve meaningful growth and development for promoting the welfare of our people. 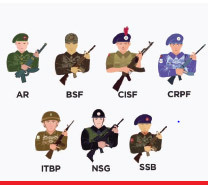 National security comprises all facets of external security, which relates to protecting the country's territories against war and external aggression, and internal security which includes all matters relating to the maintenance of peace and public order across the length and breadth of the country. It is shameful that even seven decades after Independence many State police organizations are still functioning under a Police Act which was enacted by our imperial masters nearly 160 years ago. And most States have still not meaningfully carried out the Supreme Court's directions for fundamental reforms being implemented regarding the functioning of the constabularies. The first generation of our security analysts had found it convenient to distinguish internal and external security and to focus almost entirely on issues relating to external threats. Such a sectoral approach is erroneous and untenable. Any scope for segregating the management of issues relating to internal and external security was obliterated when Pakistan launched its proxy war in Jammu and Kashmir. Furthermore, over the past nearly three decades, issues relating to the management of internal and external security have got deeply and inextricably intertwined. It would be relevant to also note that, over time, the sources of arising security threats have got geographically spread far beyond our immediate neighbourhood to countries in South East Asia, Middle East and in the Western hemisphere. So far we have neither secured the required Union-State understandings nor developed a pan-India approach which would meet the requirements of a National Security Policy. Insofar as the role of the States is concerned, the Union has not so far been able to convince them to fully accept their constitutional duty to maintain internal security within their jurisdictions. In this context, it needs being stated that, in the years past, a majority of the States have been unable to establish efficient Intelligence Agencies and maintain well trained Police Forces in adequate strength to effectively put down any arising disturbance. Consequently, the States have been perennially relying on the Union for the deployment of Central Armed Police Forces, and even the Army, for the restoration of normalcy in the disturbed areas. 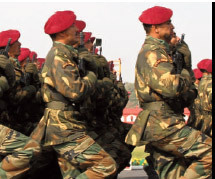 Thus, in the past decades, particularly in the North East region and Punjab, the Union's Armed Forces have had to be deployed on an extensive scale and for prolonged periods. Among the consequences of such deployments there have been recurring agitations against the alleged violations of human rights of the affected populations and vociferous demands for the repeal of the Armed Forces Special Powers Act. Besides their failure to adequately discharge their constitutional responsibility to maintain internal security within their realms, the States have also been found wanting in providing unstinted support to the Union's endeavours to safeguard national security. Among other matters, the States have been questioning the Union's authority to take any preventive or preemptive action to deal with an emerging internal disturbance on the plea that maintenance of law and order is the constitutional prerogative of the States. Notwithstanding the constitutional position, as per the practice which has got established over the past decades, the Union has refrained from suo motu deploying Central Armed Police Forces in any State to pre-empt an arising disturbance or even to protect the Government of India's own properties located in various parts of the country. As per its continuing approach, the Union has been deploying its Armed Forces only after consultation with the affected State or at the latter's request. It is not easy to explain the Government of India's approach, particularly in the context of the constitutional prescription that it shall be the Union's duty to protect the States against internal disturbances. 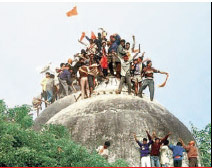 Considering the developments which led to the demolition of Babri Masjid, questions have been repeatedly raised about what exactly is the Union's constitutional responsibility, particularly when it is duly warned and is well aware of an arising conflagration, as was the case before the demolition of Babri Masjid. Furthermore, after the 8/11 terror attack in Mumbai, grave concerns have also been voiced about the Union's actual capability for dealing with such challenges. There must not be any further delay in promulgating a well considered National Security Policy which is founded in unambiguous Union-States understandings to work together for collectively safeguarding the country's unity and territorial integrity. Since Independence our country has achieved considerable progress on varied fronts but we still have significant illiteracy and unemployment and a near one fifth of our people subsist below the poverty line. It is a matter for serious concern that the States have not been able to provide adequate budgetary resources for maintaining their Police Forces in sufficient strength. The States are also reprehensible for interfering with the day to day working of the Police organizations and politicizing their functioning, which has resulted in eroding the discipline, integrity, morale and professionalism of the constabularies. It is regrettable that, to explain their varied failures, the States have been advancing the specious argument that they suffer from paucity of resources and, in any case, it is the responsibility of the Union to provide them adequate funds for the expansion and modernization of their Police Forces as under the Constitution it is the duty of the Union to protect the States against internal disturbances. 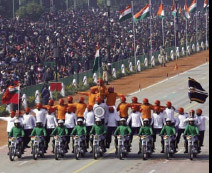 If the States have to become self-reliant in effectively managing Internal Security they shall necessarily have to take urgent steps to carry out the now very long pending Police Reforms, which have been recommended by several National Committees and Commissions and even by the Supreme Court of India. 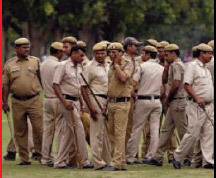 Besides defaulting to enact the Model Police Act, which was drawn up under the directions of the apex court, the States have also failed to set up Police Complaints Authorities and State Security Commissions; to segregate Law and Order from Investigation functions and to set up separate Intelligence and anti-Terrorist Units. All over the country, Police is the First Response Force and it is of crucial importance that the constabularies in all the States are highly trained and motivated and all their service and family conditions are looked after satisfactorily. Considering the past track records of the States in regard to security management, the Union shall need to draw up a State-wise action plan for bridging all existing gaps and shortfalls and, towards this end, the States shall also need to be financially assisted. Over the years, whatever may have been the complexion of the political parties in power, it has been the Union's general tendency to avoid any confrontation with the States, far less question them about the factors and influences which have been leading to recurring internal disturbances. 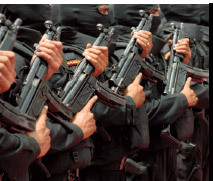 Consequently, whenever approached by a State in distress, the Union has been, without fail, providing assistance by deploying Central Armed Police Forces, and even the Army, to restore normalcy in the disturbed area. Thus, the Union has concerned itself essentially with dousing fires and has rarely ever questioned the States about the root causes of the disturbances in their areas. The Union has also been hesitant in exercising its authority under Article 256 of the Constitution to issue appropriate directives to the affected States for taking the required actions to timely quell arising disturbances. On the contrary, the practice actually followed in the past decades has been for the Union Ministry of Home Affairs to merely issue "advisories" to the concerned States in regard to the management of emerging situations. Thanks to the Home Ministry's amiable approach of only issuing cautionary notes to the concerned States, it has not been possible to pre-empt any arising disorder. If we recognize the gravity of the progressively enhancing security threats which are emerging from varied sources, from our neighbourhood and beyond, and also remember that it is the duty of the Union to protect every State against internal disturbances, then no more time can be lost in the Union taking immediate initiatives for finalizing a holistic National Security Policy and, thereafter, proceeding to establish the required nationwide machinery for implementing it. 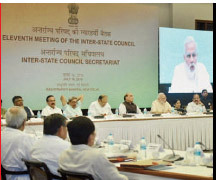 For securing the required Union-State understandings in the arena of national security management, it would be enormously beneficial if the draft National Security Policy and all major issues relating to its implementation are discussed and settled in meetings with the Chief Ministers under the aegis of the Inter State Council (ISC), which is chaired by the Prime Minister. There must not be any further delay in promulgating a well considered National Security Policy which is founded in unambiguous Union- States understandings to work together for collectively safeguarding the country's unity and territorial integrity. Once the States have clearly accepted their responsibility to maintain Internal Security there would be no reason why they should not become progressively capable of effectively dealing on their own with any arising internal disturbance. And when the States become self-reliant the Union shall be able to progressively reduce the large scale deployment of its Armed Forces for dealing with disturbances in the States. It needs being noted that except in Jammu and Kashmir, where we are fighting Pakistan's proxy war, the recurring deployments of the Army elsewhere in the country, for dealing with local insurgencies and internal disturbances in the States, has the rather worrying potential of blunting the Army's edge and, besides, generating internal problems regarding the operational efficiencies of its officers and men who are recruited, trained and equipped to fight and destroy the enemy at first sight and not to be involved in situations in which the rules of engagement demand considerable restraint. Once the Union has been able to promulgate a bi-partisan National Security Policy the next important step would be to undertake a thorough State and Union Territory wise critical review to identify deficiencies in the existing security administration systems. Side by side, it shall be useful to carry out a close critical assessment of the Union's own wherewithal for discharging its constitutional responsibility to safeguard the nation. The Union would need to review its obligations on various fronts and, interalia, enhance allocations to enable the Central Intelligence Agencies to significantly enlarge their capacities for providing timely intelligence to various quarters, at the Centre and in the States. And among their many responsibilities, the Intelligence Agencies shall need to urgently equip themselves for particularly protecting the defence and governmental establishments, the financial sector and large public and private organizations against cyber crimes. It would be beneficial if the chiefs of both the internal and external Intelligence Agencies take timely initiatives to critically review their existing charters and revisit the oversight mechanisms, such as may be in existence, for reviewing both their policies and operations. These steps should be taken pro-actively, without waiting for pressures building up to question the obtaining policies, procedures and systems of the Intelligence apparatus. Inter State Council While undertaking such an exercise it should be kept in mind that the two Central Intelligence Agencies in India do not report to the same Minister. Also, unlike as in the years gone by, it may not be a sound basis to assume that oversight by the concerned Cabinet Ministers is adequate in as much as they are accountable to the Parliament and that such an arrangement is good enough. In this context, it may be recalled that the Kargil Review Committee had noted the absence of coordination, governmental correctives and the need for checks and balances. 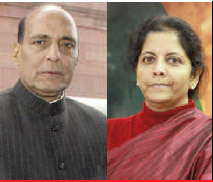 Rajnath Singh and Nirmala Sitharaman Among the various models followed in the advanced countries I find that the UK's Intelligence Services Act (1994) provides for a Parliamentary Intelligence and Security Committee which examines the expenditure, administration and policies of the Intelligence Services. With such modifications as may be required, this statute appears to be more in tune with our administrative ethos and deserves early examination. If internal security is to be effectively maintained and we are to move towards assured national security management, it would be urgently essential to implement reforms and improvements in the entire framework of the criminal justice system. Unless this system functions with speed, efficiency and visible fairness, it would not be possible to reduce criminality and establish a healthy respect of the law. As the very first step, the criminal courts shall need to achieve a significantly improved disposal rate and also stem the decline in the conviction rates, which is due to the prolonged delays in investigations and trials. As per reports, year after year, several crore criminal cases continue to await trial and an equal number remain pending for want of investigations. Such a situation must not be allowed to continue and the Union must take all required steps to introduce improvements on time bound basis. Except in Jammu and Kashmir, where we are fighting Pakistan's proxy war, the recurring deployments of the Army elsewhere in the country, for dealing with local insurgencies and internal disturbances in the States, has the rather worrying potential of blunting the Army's edge and, besides, generating internal problems regarding the operational efficiencies of its officers and men who are recruited, trained and equipped to fight and destroy the enemy at first sight and not to be involved in situations in which the rules of engagement demand considerable restraint. cyber crimes and economic offences and to tackle the growing criminality which is perpetrated by organized crime, drug trafficking and mafia groups, many of which have close connectivities with terrorist organizations. As of now, we have only the NIA which was enacted in a rush after the 8/11 terror attack. This statute requires considerable strengthening to ensure immediate cognizance of offences committed anywhere in the country to be followed by prompt investigations. Also, the list of offences covered by this law need to be dynamically reviewed and enlarged and, side by side, attention given to upgrade and enhance the powers and modalities for special investigations. Further, the obtaining procedures for the establishment of Special Courts and the completion of trials within given time frames also need to be urgently reviewed and rationalized. 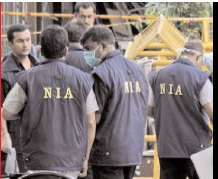 If NIA is to function as the nodal agency to counter terrorism, cyber crimes and other major threats, it shall need to be provided very strong and prompt support by the Central and State Intelligence Agencies and by the law enforcement machinery all over the country. 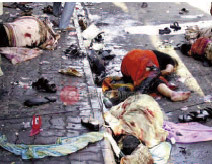 Many years have elapsed since it was proposed to establish the National Counter Terrorism Centre (NCTC). If I recall correctly this proposal was opposed by the States which had demanded that the law to establish NCTC should be passed by the Parliament and, further, that this organization should be administered by the Union Home Ministry and not by the Intelligence Bureau. These arguments reflect the distrust of the States in the functioning of the security organizations managed by the Union and yet again point to the urgent need for arriving at the required Union-States understandings to lay the bedrock of an effective National Security Policy. As is well known, varied threats to national security also originate from corruption in the administrative systems, all over India. As past experience has shown, corruption vitiates the Constitution and the Rule of Law and destroys the very foundations of the administrative and legal systems. It generates unaccountability and inefficiencies which, in turn, cause anger and helplessness among the people at large, particularly the poor and marginalized segments who may be even further alienated and compelled to resort to arms. It is also known that corrupt elements in the governmental establishments may have connectivities with criminal and anti-national elements and thus have the potential of sabotaging and subverting the national interests from within, while working in establishments in which they have got themselves entrenched. It would be stating the obvious to stress that the Union and the States need to urgently join hands to identify and weed out all corrupt elements in the entire administrative machinery, particularly from the civil, police and judicial systems. 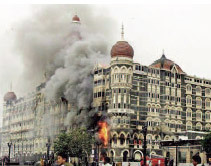 As regards the subversion of national security interests from within the governmental systems it may be recalled that consequent to the Mumbai serial blasts in March 1993 the Government of India had set up an Inter-Ministerial Committee, chaired by the Union Home Secretary, to interalia ascertain how the Dawood Ibrahim criminal gang had succeeded in bringing several tons of RDX into Mumbai city to carry out the serial bombings. This Committee, generally referred to as the Criminal Nexus Committee, had arrived at the conclusion that criminal activities can be carried out virtually unfettered, because of the existence, in several parts of India, of an unwholesome nexus between corrupt politicians, dishonest public servants and organized crime and mafia gangs. Twenty five years have since elapsed. It is apprehended that such networks may have since considerably enlarged their strength and would today pose an even graver threat to national security. Another very critical issue which has continued to be neglected relates to the fundamental necessity of ensuring that all security management departments and agencies are manned by personnel who are adequately trained and equipped to perform the sensitive tasks which they are required to handle. We can no longer afford to follow and disparate approaches in regard to national security management. The Government of India should not lose any more time in taking the full step to establish a National Security Administrative Service whose constituents, selected on the basis of a pan India competitive examination, should be got especially trained in the various required areas and deployed to man the Government of India's security administration system. important agencies may have had no prior experience of working in the security management arena. Serious personnel related problems have also been surfacing in the functioning of the Central Intelligence Agencies, particularly in the Research and Analysis Wing. For want of a well-planned approach, deficiencies have been faced in regard to the availability of the required number of adequately trained and experienced functionaries who are required for manning the various organizations which comprise the Union's security administration apparatus. Problems relating to the shortage of trained human resource would pose an even larger problem once the National Security Policy has been promulgated and a significantly enlarged apparatus is required to be made operational. It may be recalled that, nearly two decades ago, the then NDA Government had set up three Task Forces. Of these three, the Task Force relating to Internal Security was chaired by me. Among the many recommendations which were made by this Task Force I had particularly pointed to the vital importance of trained man power being raised, in adequate strength, to progressively man the Union's entire security management apparatus, all over the country. In this context, I had proposed the broad framework for raising a dedicated pool of officers by seeking volunteers from all Civil, Police, Defence, DRDO, Science & Technology, Management, Banking, Telecom and various other arenas of functioning. It was proposed that such volunteers, after selection, should be made to undergo function and area specific training programmes and well trained persons from this pool could then be handpicked and deployed to perform specified roles in the Central security management apparatus. Ministers, comprising the Home, Defence, Finance and External Affairs Ministers and Vice Chairman of the Planning Commission, had approved the approach recommended be me. This decision was reflected in the "Report of the Group of Ministers on National Security" (February, 2001). Considering the long period which has since elapsed it can be safely assumed that this matter has been duly consigned to the record room. 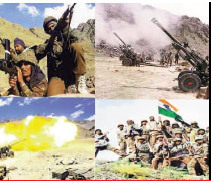 In the past two decades, since the empowered Group of Ministers considered the recommendations of the three Tasks Forces, which were set up consequent to the Kargil Review Committee Report, worrying developments have taken place in our security environment. There have been significant shifts in the geo-political environment in our neighbourhood and beyond and there are new threats to our country's interests and security. In this context, I would yet again stress that we can no longer afford to follow adhoc and disparate approaches in regard to national security management and the Government of India should not lose any more time in taking the full step to establish a National Security Administrative Service whose constituents, selected on the basis of a pan India competitive examination, should be got especially trained in the various required areas and deployed to man the Government of India's security administration system. Thereafter, members of this Service could also be progressively allocated to the States for managing their security management machinery. My concluding observation relates to the need to establish a new Ministry which is entirely dedicated to the efficient implementation of every component of the National Security Policy and to keep a close and constant watch to see that the States effectively maintain Internal Security in their domains. Varied threats to national security also originate from corruption in the administrative systems, all over India. Corruption vitiates the Constitution and the Rule of Law and destroys the very foundations of the administrative and legal systems. It generates unaccountability and inefficiencies which, in turn, cause anger and helplessness among the people at large, particularly the poor and marginalized segments who may be even further alienated and compelled to resort to arms. It needs being recognised that the Union Ministry of Home Affairs is faced with ever increasing day to day pressures on varied fronts and its senior echelons are required to deal with a horde of subjects, of which one relates to Internal Security management. With its existing responsibilities it would be impractical to expect this Ministry to devote whole time attention only to security management related issues, all of which require zero delays and immediate decisions. In this context, if national security is to be effectively managed, the time has come to establish a dedicated Ministry of National Security Affairs which is led by a senior experienced Cabinet Minister and manned by handpicked and especially trained functionaries drawn from the National Security Administrative Service, which I have earlier proposed. The Union should take urgent steps, in close consultation with the States, to evolve and promulgate the National Security Policy and, thereafter, draw up and implement a time-bound action plan to fill all existing gaps and establish a country wide institutional framework for safeguarding the country on every front.
. For securing effective implementation, it is essential that the security administration apparatus of the Union and the States is manned by well trained and trustworthy personnel. Towards this objective, the Union should establish the National Security Administrative Service whose cadres should man the Union's security related organizations and, progressively, the security management apparatus of the States.
. The Union Home Ministry is responsible for the management of a large number of disparate subjects and is overburdened with the discharge of its dayto- day tasks. The effective implementation of the National Security Policy shall, interalia, require constant oversight of each and every security related development and immediate operational decisions. It would be beneficial to lose no time in establishing a new Ministry of National Security Affairs which is entirely devoted to effectively safeguarding the country on every front. Excerpts from the K. N. Rao Memorial Lecture delivered by the author on January 21, 2018. The author has been an eminent civil servant and is currently the Governor of Jammu and Kashmir.